Summer is just on the horizon, but it’s not too late to update your hair color for the season. Listed below are some of the latest trends in color as well as some must-do tips for keeping your color fresh during the warm weather. Super pale blonde is still a thing this summer along with it’s close neighbor platinum gray. 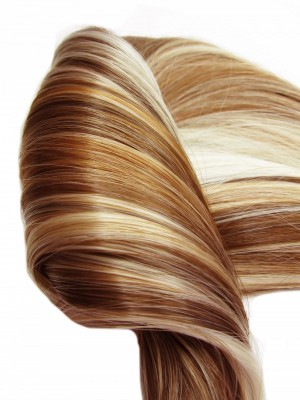 If you’ve already gone that route, consider adding some soft highlights to it with a butter-colored balayage process. The highlights will grow out easily, and by Labor Day you’ll be ready for the next big thing. Reds are always in season, if you have the complexion for them. Soften it for summer by opting for a rose gold shade, or adding copper gradients to it. You’ll be crowned with a summer sunset all season long. Even if you’re a brunette, dimensional color is still the key whether you’re mocha, mahogany, or walnut. Go for a subtle counter color to bring out the brownie richness of the shade. Simple, natural styling will complement it even further. Whether or not you’ve opted for a color, there are a few things to do that will protect your hair from all of that summer fun. Remember that your hair needs protection from the sun just as much as your skin does. Choose products containing a UV protectant, and wear a hat or hair scarf. You may also want to add a leave-in conditioner to your regimen, too. Be sure to wash your hair immediately after exposure to chlorine or salt water, and after a day in the sun. You don’t necessarily need to use shampoo, especially if your hair is already on the dry side. A cool rinse and a scalp massage will do the trick. Taking your hair color to a new dimension is a great way to celebrate summer. Here at Salon D’Artiste, our team of highly trained colorists is here to help you get it just right. For an appointment, we can be reached at 610.687.2020 or see us at the salon at Eagle Village Shops, 205 Lancaster Ave #2, Wayne, PA 19087. Want to make an appointment instantly? Use our app! Our app is available through the Apple Store,Google Play, or Amazon.